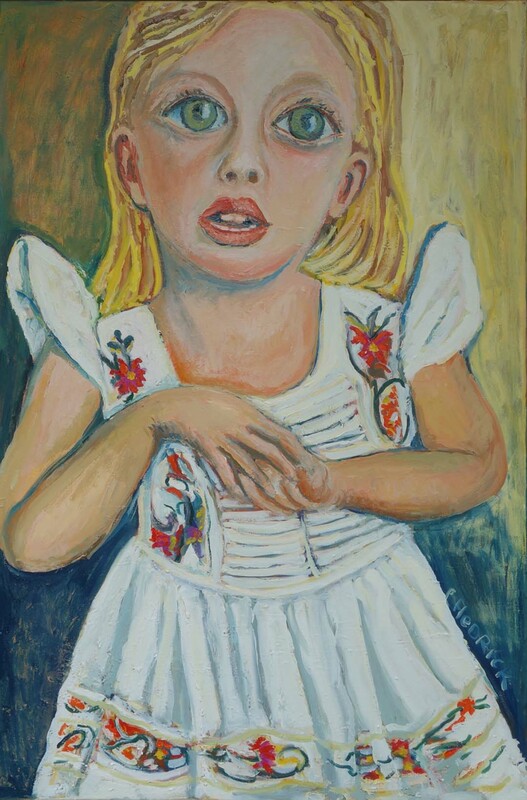 Lynette showed and developed a fascination and unique ability to draw from a very early age. Fortunately her parents and teachers recognized her talents and piled on the tuition and praise over the years. 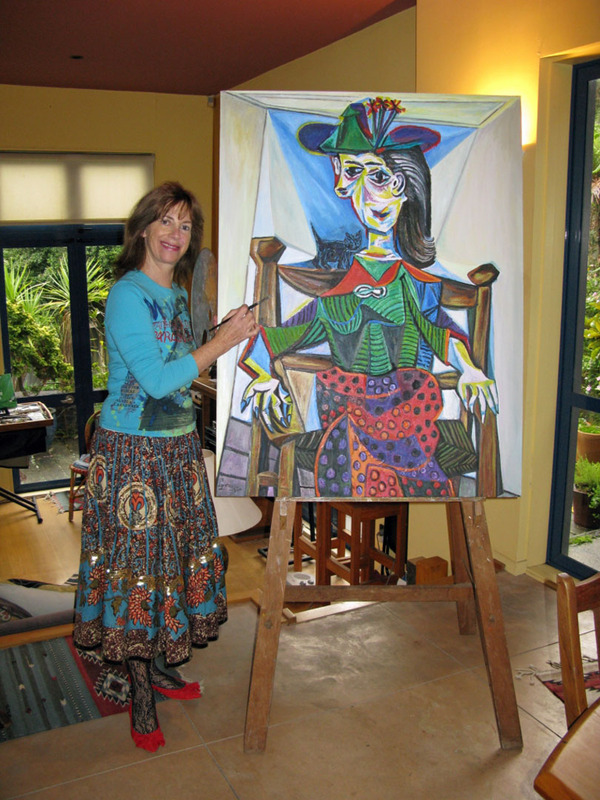 Her training included special classes at school and university, culminating in months of private tuition with the world-famous New Zealand artist, Simon Williams. But it was not until her years of study and re-creation of Picasso’s great works did she arrive at today’s brilliant works. This would be one of the most difficult and complex paintings I have undertaken. 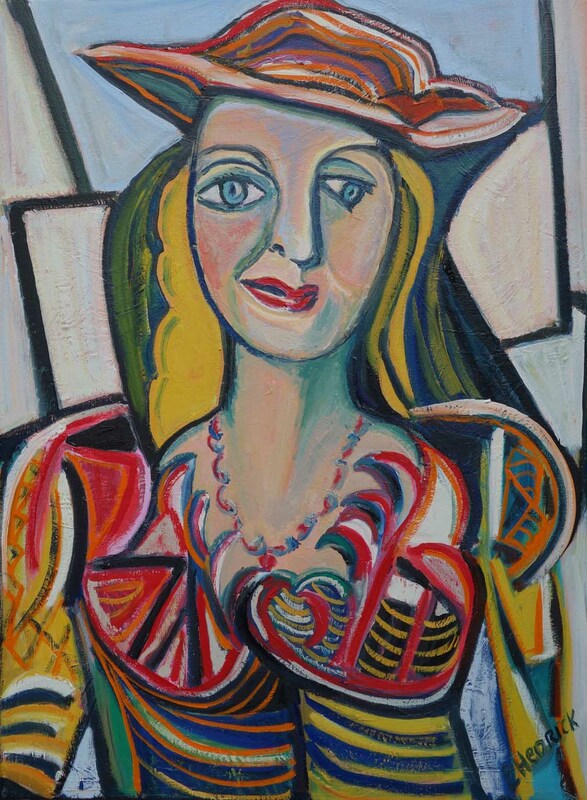 Bud and I have viewed Picasso originals in museums, and his masterpieces are just that… not merely iconic and breath-taking designs, but his genius displays of techniques, colors, layers, and brushstrokes leave no doubt he is the master of masters. A self-portrait study with an attitude. She’s got her eye on you! And Yes, Pablo was at my side for this one! A warm morning breeze and glorious Sicilian hillside views calm excited nerves before daughter Charlotte and Chef Salvatore’s wedding. 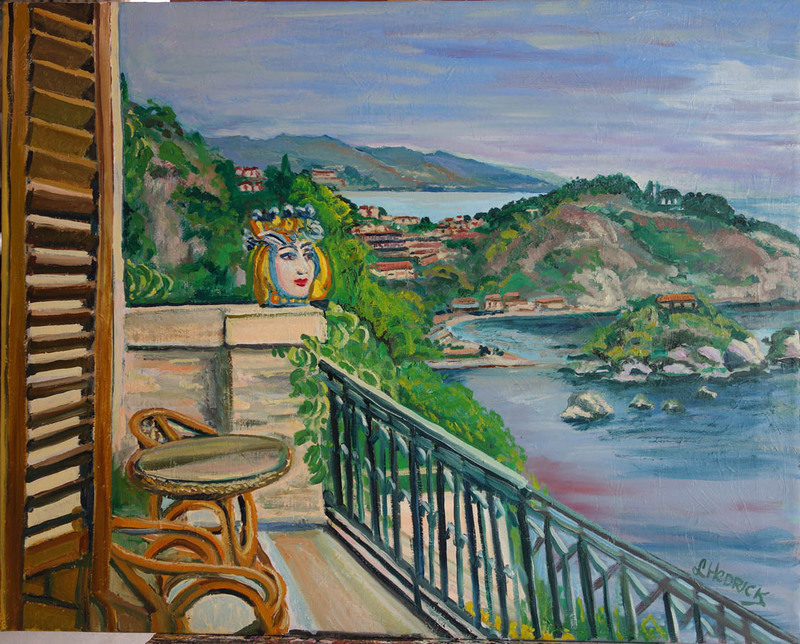 From their balcony at Villa Antonio… the beautiful and mysterious Isola Bella is now a Nature Reserve. 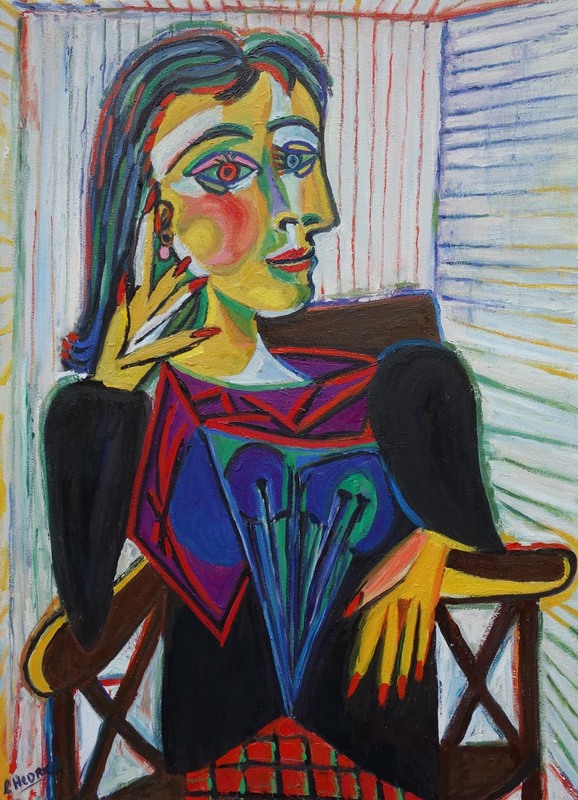 This is also known as Dora Maar Seated – another Pablo Picasso pièce de résistance. She studies your soul, deciding if you’re friend or foe. Her charm and beauty awaits. 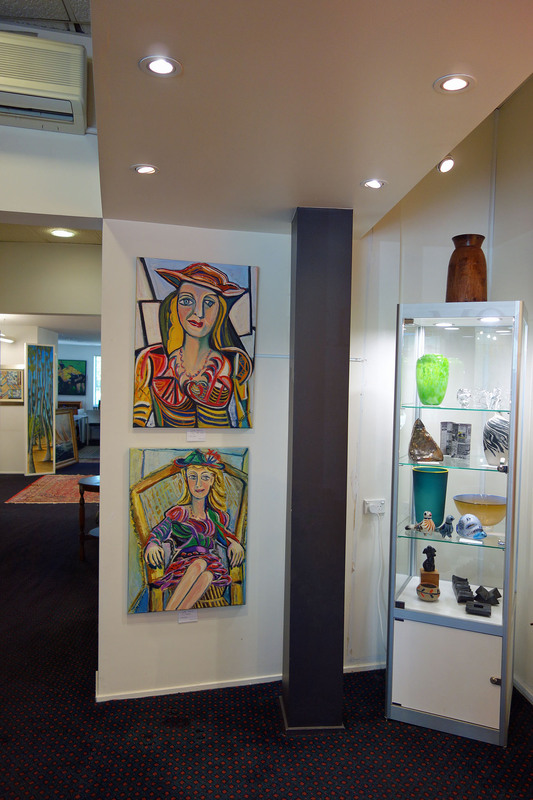 I have been blessed with Gallery sales over time, but one in particular got the prize – a Conde Nast Editor raced through an Auckland Gallery and saw my painting, “I’ll take it, but with the canvas rolled in a tube… travelling light.” And off he went… to the Airport – next destination France!